Maybe you have a favorite wedding photo or perhaps there’s a vacation picture you want to display instead of storing it away digitally on your phone or computer. 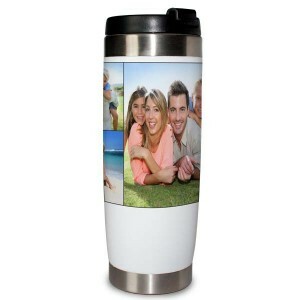 Why not celebrate your favorite memories in style by adding your photos to a custom photo mug, coozie, or water bottle. We offer a wide range of styles that are perfect for showing off your best moments while enjoying your favorite beverage. From a 15 oz photo mug for your morning coffee or our custom aluminum water bottle for your trips to the gym, there’s something for everyone! 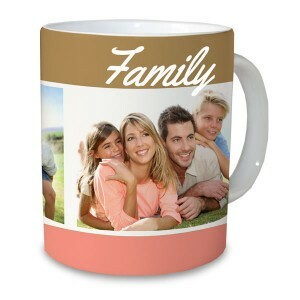 With our large selection of cheap photo gifts you can’t go wrong and our personalized mugs are no exception! After gathering your digital images, simply upload them directly to MailPix and save them to your account. Then, choose your product and select from a variety of templates and styles to accent your photos. Afterwards, use our layout tool to pick out the perfect photo and text arrangement. Once you’ve chose your layout, drag and drop your photos directly onto your layout and enter your own text for a personalized touch. Finally, review your project and then place your order! Our customized mugs, water bottles and travel tumblers are a great way to show off your most cherished memories. Design a mug for yourself or create a customized drink ware product for a loved that is guaranteed to be well-received. Not only are our personalized photo mugs practical for daily use, but they show off your personality through your favorite photos. Spice up your routine with your most prized memories and select from our various mug sizes and styles to create one that fits your character to a “T”. If you’re looking for a simple classic, our 11 oz white photo mug is perfect for your morning routine. Select from a wide range of photo layouts and background templates that compliment your taste and enjoy your beverages in style each day. Additionally, check out our black 11 oz mugs for a stylish glossy finish that will showcase your photos in their full glory. Your mornings will never be the same again! Maybe you need a little more caffeine in the morning to get started. If so, you can’t go wrong with our custom 15 oz white mugs or our personalized 15 oz black ceramic cups that will allow you to start your day off right. Exhibit a series of favorite family snapshots or include a range of images that will get you going while on your way to work or spending quality time with family at home. Sometimes, there just isn’t enough time in the mornings to sit down and enjoy your cup of morning joe or tea before heading off to work. For those busy mornings, why not have a little fun and create your own travel mugs for your commute to work. Take both your morning brew and your favorite memories around with you wherever you go by designing your own personalized travel mug. Choose a single photo or create an artistic collage of memories for a look that’s uniquely “you”. Our travel mugs include a handle and hold up to 13 ounces of your favorite beverage making them ideal for your busy schedule. If you want to go a little bigger, our custom photo travel tumblers hold up to 16 ounces and are tall and slim to fit perfectly in any car cup holder. Make each morning special with a heartwarming picture of your loved one or a thrilling photo of that beach sunset you snapped during your last road trip. Just make your coffee or tea at home and hit the road for a fun beginning to your day. Perfect for relaxing at home or even on-the-go, our customized latte mugs include a silicone lid to prevent you from spilling your hot coffee or tea. Choose from a wide variety of fun and elegant backgrounds to accent your photos. From solid colors to floral patterns, you can transform your latte mug into an expression of your personality and style. Watch your favorite photo appear right before your eyes with our black magic mug. Choose from a variety photo layouts to display a series of your most beloved memories. Once you add hot water to your mug for your coffee or tea, your photo will slowly appear like magic! Add a fun photo of yourself with the family at the beach or even your best pet picture to add interest to your day each morning. Customize your drink ware for not only your hot beverage but also your most beloved cold drinks. Just like our ceramic mugs and travel tumblers, you can create your own collage of your most prized memories and have them printed on our water bottles, soda can sleeves and glass steins! Upload a fun snapshot and create a custom photo koozie to keep your favorite drink ice cold in style. Great for picnics, summer baseball games or just relaxing on the patio on a hot day, our personalized coozy will make you smile by bringing your favorite photos to life in a unique, new way. Perfect for you daily trip to the gym or just running errands around town, our aluminum water bottles can be customized with your favorite digital images and will keep you hydrated throughout the day. Select between our white or metallic water bottles and choose a template to artistically display your collage of photos. Perhaps you’d enjoy your favorite ice cold drink with our classic glass steins. Display a favorite photo of your family or even your best wedding picture and sit out in the sun enjoying your favorite memories while staying cool. Our glass steins will show off one large photo and you even have the option to add your own text for a truly personalized look. Whether it’s ice cold water or a frosty soda, you can incorporate your most cherished photos into your daily routine with our custom water bottles, coozies, and personalized steins for year after year of enjoyment. 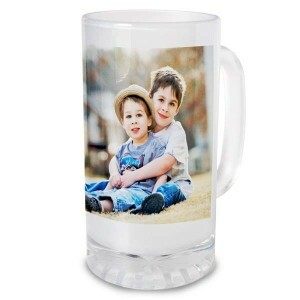 Whether you’re designing your own photo mug or a personalized aluminum water bottle, you can show off a favorite photo or even a collection of prized pictures to spice up your day. Our custom drink ware options are perfect for daily use and will remind of your best moments. Maybe you’ve been looking for a unique way to display your favorite baby pictures of your little one. 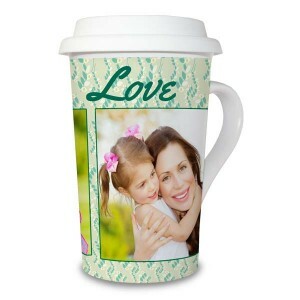 Why not create your own latte mug and display your baby’s cutest pictures with a complimentary background. Choose from a variety of templates to make the perfect latte cup to commemorate your little one’s best moments. Did you recently take an exciting trip to an exotic locale or spend a relaxing weekend at a cabin in the mountains? 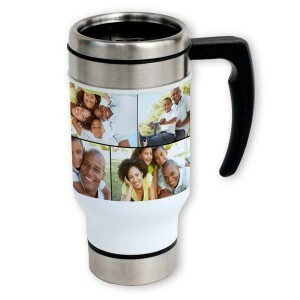 Instead of loading up on souvenirs, why not design a photo mug to commemorate your journey. Choose from a variety of photo layouts and include your own text to exhibit your best vacation pictures for all to see. With MailPix, you can easily design your own vacation themed water bottle, soda can sleeve or ceramic mug to incorporate your photos into your busy schedule. Everyone loves their morning tea or coffee and also enjoy a cold beverage while at work or relaxing at home. That’s why our customized drink ware makes the perfect gift for anyone on your shopping list. 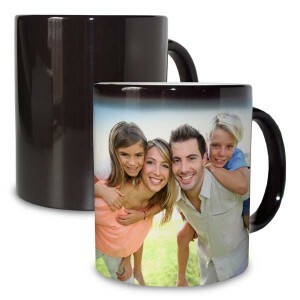 Create a photo mug for a unique holiday gift or design a personalized water bottle for a loved one’s birthday. With our wide range of customized options, you can create the perfect gift for friends, family and coworkers alike! Our customized mugs make a great office gift for your boss or favorite coworker. Maybe you are looking for a unique gift in celebration of a promotion or a special achievement. Design the ultimate mug using the perfect digital photo and even add some congratulatory text for an office gift that can’t be beat! Maybe your best friend has an upcoming birthday and you want to give her something that’s both unique and personal. Find your favorite photo from your recent day trip together and design a customized mug that she is sure to love. Not only are our personalized photo mugs practical, but she’ll be able to relive her favorite day trip moment with each sip of her morning coffee. No matter the occasion, our personalized drink ware options make a wonderful gift for anyone special in your life. Simply use our project builder to design a stunning mug or stylish water bottle in minutes and watch their smiles light up the room! Life is full of exciting moments that are worth celebrating. With today’s smart phones and digital cameras, it’s so easy to capture these cherished moment with the push of a button. Instead of storing them away on your various electronic devices, why not show them off by creating a personalized mug or water bottle. Choose from a variety of customized options that will not only compliment your style but will perfectly accent your photos for a unique look. 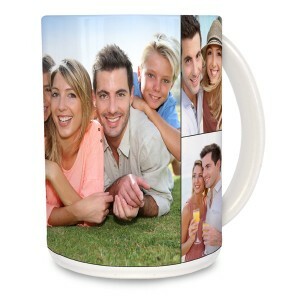 Create one for yourself and relive your best memories with each sip or design a custom photo mug or for an amazing gift that everyone will enjoy. All you have to do to get started is upload your photos and use our project builder to create the ultimate mug, water bottle or custom photo koozie to enjoy your favorite beverages in a whole new way!